Our Miramar site is looking for a Programme Assistants and Casuals for our Before School, After School, and Holiday Programmes. The roles will support the programme to ensure the children have lots of fun through a wide variety of activities, and the programme operates according to sKids policies and procedures. 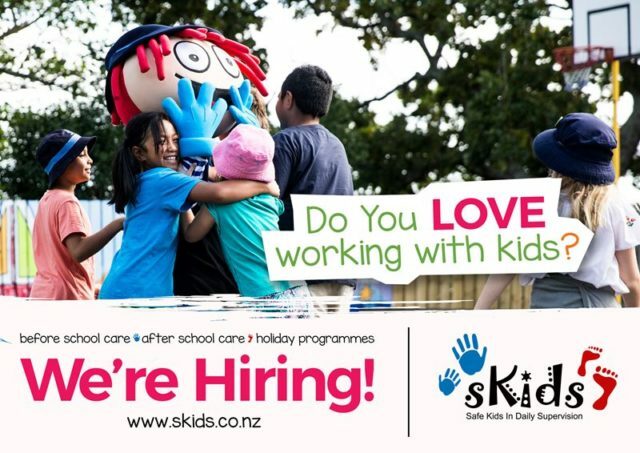 To find out more, interested applicants are requested to send their CV and covering letter to careers@skids.co.nz with specific details to the role that you’re applying for ASAP.